FIRST SONG FROM “GARUD PURAN” TO RELEASE ON THIS DATE!! We share you one news regarding the film “Garud Puran”, which will definitely bring a huge smile on your face. The makers of the film have revealed that the first song from the movie will be out soon. 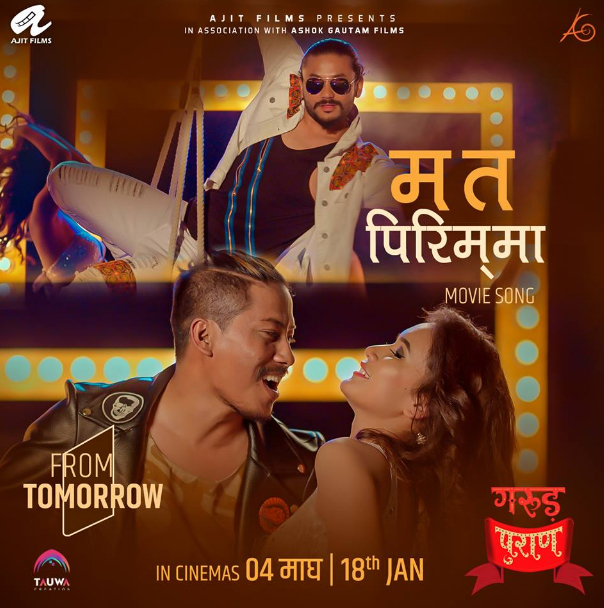 Yes, you read it right, the first song of “Garud Puran” will be released on Mangsir 6/ November 22 and the title track is “Ma Ta Pirim maa”.The song will have Karma, Nischal Basnet, Priyanka Singh Thakuri and Anjali Yonjan. Produced under Ajit Films and Ashok Gautam Films, Susan Prajapati and Subash Koirala directorial is all set to hit the screens on 4 Magh/ January 18.